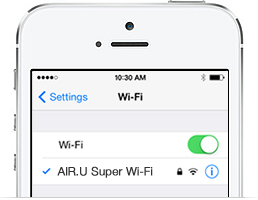 AIR.U & White Spaces | Declaration Networks, Inc.
AIR.U offers users sustainable high capacity broadband networks leveraging White Space frequencies. The AIR.U initiative was announced in 2012 and is a consortium of educational associations, public interest groups and high-tech companies that delivers wireless broadband applications to underserved campuses and their surrounding communities. What is White Spaces technology? In September of 2010, the FCC issued its Second Memorandum & Order allowing the unlicensed operation of devices in the unused portions of the TV Broadcast Bands, known as White Spaces. Open access to White Spaces is a significant event due to the considerable amount of spectrum allocated, coupled with the superior propagation characteristics associated with their lower frequency range (54-698 MHz).